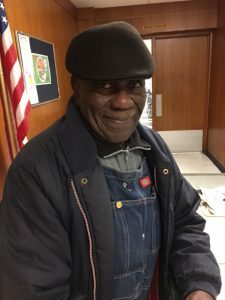 Celebrating 100 years of age- Mr. Elijah Mason | | Senior Centers, Inc.
Mr. Elijah Mason just celebrated 100 years of living strong. He contributes his longevity to faith, family, friendships and staying active. On his 100th birthday he was the greeter at his church. The center celebrated by singing, eating cake and lots of congratulation wishes from his friends. We are so proud to be a part of your life Mr. Mason. 100 years! What an accomplishment! November 9, 2017in Articles, Health, Imagesby Senior Centers Inc.
Peanut from a Machen, Buds of Promise at New Light Missionary Baptist Church.